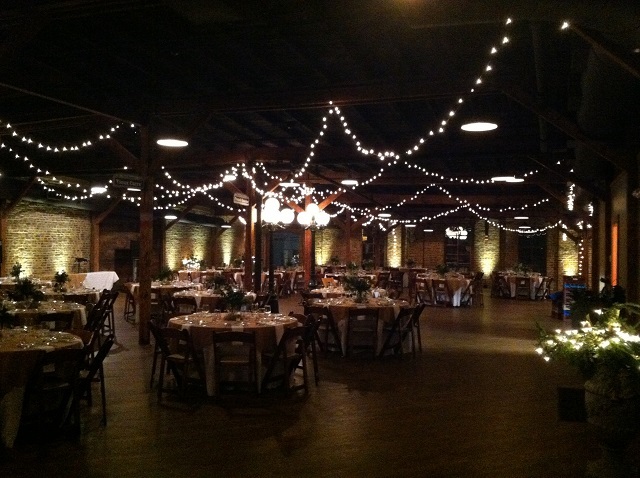 Nashville special event lighting will help place your June bride in the spotlight! Nothing is more memorable than your wedding day. It signifies the beginning to a new chapter in your life. When it comes to choosing the venue for your wedding, times have changed. With the wedding season underway, more brides are opting for outdoor weddings and wedding venues that take the traditional ceremony to a whole new level. Part of the reason for choosing a setting that is less traditional is the freedom it allows for self-expression in designing and setting the mood for your special event. A crucial part of creating romance and a memorable atmosphere to look back on and cherish for years to come is the manner in which you design your wedding venue. In order to convey a theme, or personal style of the bride and groom every facet of your wedding takes planning. This can be to the color of the tablecloths used at your reception, to the hues you choose for you floral arrangements, bouquets and centerpieces and even the band you book to play at your reception. As part of this planning, never overlook the importance of lighting and the role it can play to the success of your wedding. Outdoor Lighting Perspectives of Nashville specializes in both indoor and outdoor wedding and special event lighting. Outdoor Lighting Perspectives of Nashville specializes in special event lighting, including wedding lighting. Whether you choose an indoor venue, or an outdoor wedding our special event lighting will ensure your wedding day is memorable to all in attendance. Our large selection of fixtures and experience in utilizing unique lighting techniques enable us to create an atmosphere that pays homage to beautiful beginnings and happily-ever-after’s. Can you imagine saying ” I do” in this storybook outdoor setting? As you peak into some of our most well received lighting applications that we use for weddings, you will notice the impetus our lighting has in creating soft washes of light that emphasize the area or item being illuminated and not the other way around. Any well-appointed wedding lighting design is created with an air of mystery which takes the focus off the source of the light itself. A good example of special event lighting done right is our recent installation we completed at Huston Station in downtown Nashville. We used a combination of many different lighting elements such as down lighting from the rafters, LED copper event lighting, and temporary battery-powered LED up lights. 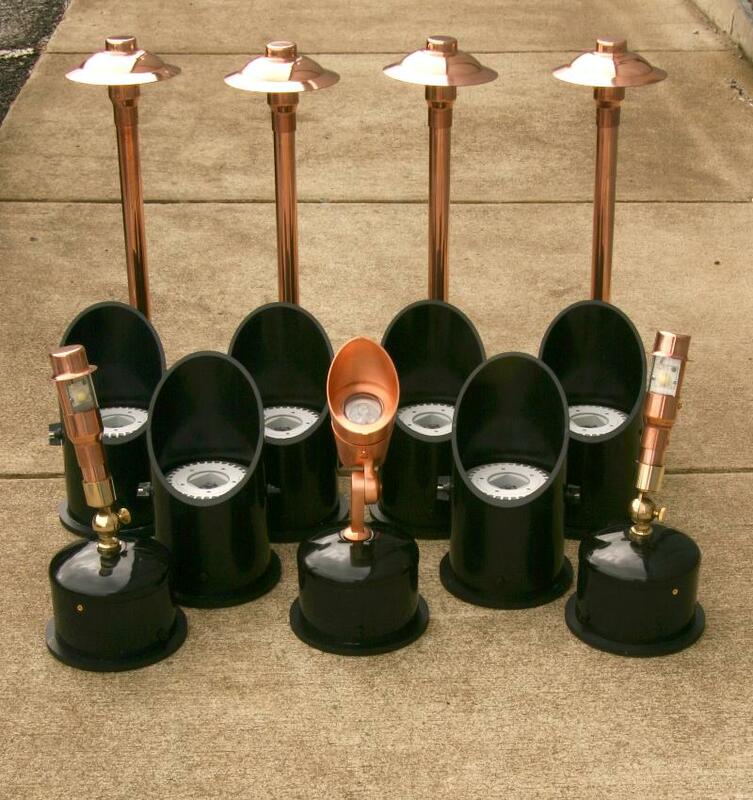 We also use a diverse selection of various lighting fixtures to enhance your special event. 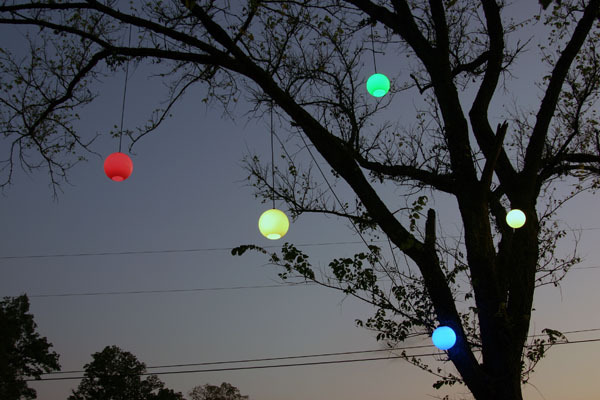 We use unique lighting elements such as these globe lights which come in a side variety of colors. 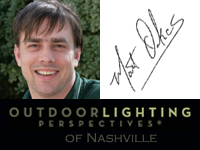 Outdoor Lighting Perspectives of Nashville instilsl the use of up lighting and down lighting when installing lighting for both indoor and outdoor weddings. 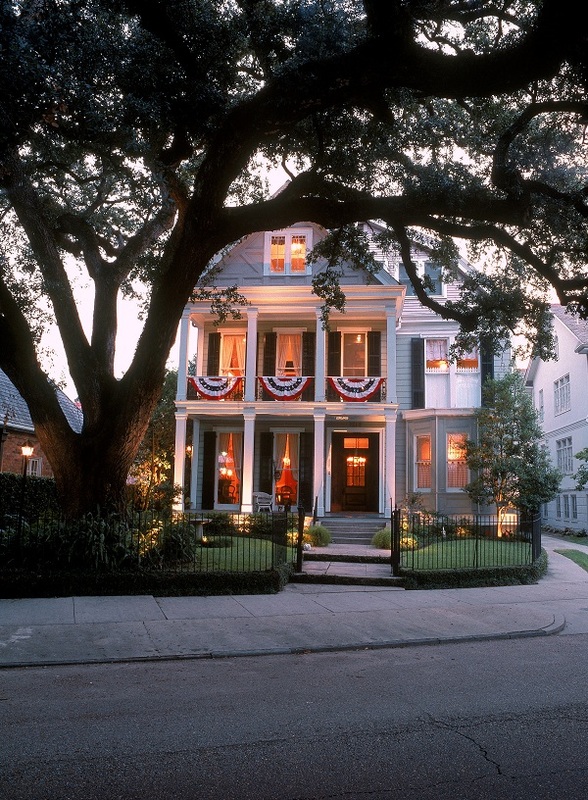 Up-lighting on a tent or on the outside of a home can warm up any event. When we use up lighting for a special event we use wireless well lights so your guests won’t trip on any wires. Colored gels can be placed under the lens cover to match your décor and alter the mood. Globe lighting is also a viable lighting option and looks enchanting hung from trees surrounding your outdoor wedding and reception. Globe lighting (also called orb lighting) comes in a wide variety of colors to add whimsy and fun to your event as well as white for an elegant storybook effect. 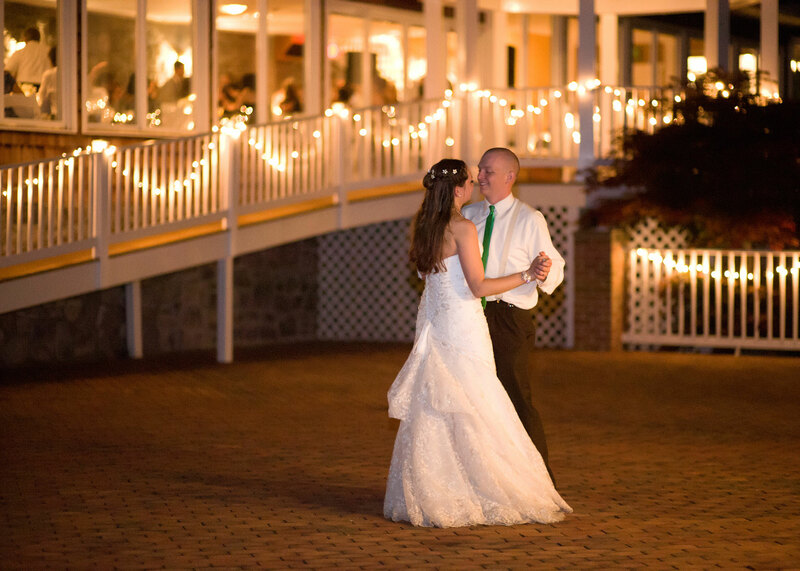 We also use path lighting in outdoor weddings for the safety of your guests. Before you are ready to walk down the aisle, contact Outdoor Lighting Perspectives of Nashville to explore the many wedding and special event lighting options we have available. Say “I do” to beautiful wedding lighting that is sure to bring the beauty of your June bride into the spotlight! Please visit our landscape and garden lighting photo gallery and our holiday lighting photo gallery located on our website for inspiration in creating a memorable wedding lighting design for your special day.